​Words by Fiona Symington-Mitchell. Photos courtesy of Square Root London with credits to Charlie McKay. 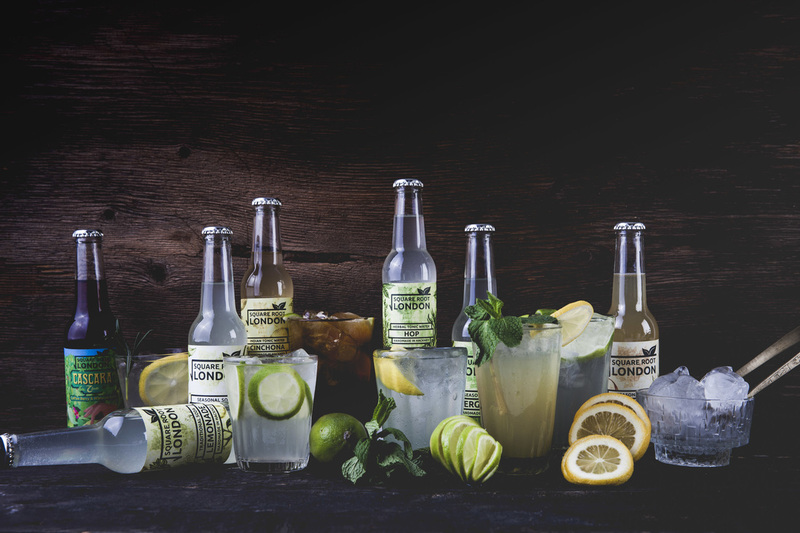 SQUARE Root London is a small-batch drinks company based in Hackney known for its fresh and original take on popular culture soda. We talk to co-founder Robyn Simms about cherry blossom, seasonal finds, and the alchemy of taste. Since launching at their local farmer’s market, Robyn with Ed Taylor have taken soda to a whole new level, creating flavours from ingredients as unexpected as seasonal rhubarb, elderflowers picked by a local forager, and cedro (an archaic-looking citrus fruit from Italy). ​Both science graduates with a keen interest in fermentation, they launched their soon-to-be business in 2012. At the time, Ed was working for Redemption Brewery and Robyn at a local pub. They were experimenting at home making ginger beer. With Harringay market only down the road, it seems the perfect outlet for a kitchen overcrowded with their home brew. Such was the popularity of their soda, sold from their vintage tricycle Elsie, that a move to a neighbourhood railway arch was made in 2013 after securing a start-up loan from Smarta. 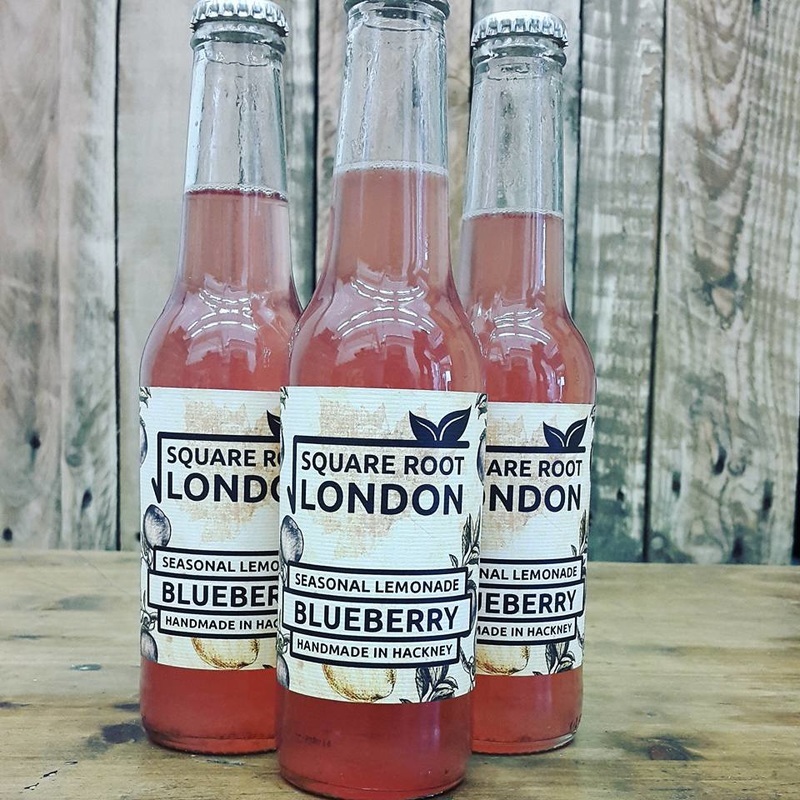 From their bottling and production space - Square Root Soda Works, they now produce 7000-9000 bottles of soda a week, creating a range of drinks from traditional ginger beer and cola to seasonal editions like blueberry lemonade, citrus crush and bergamot. With every bottle having a third less sugar than your average bottle of fizz, each soda has a distinctive fruity flavour. The team use beet sugar (it has very little flavour) for most of their sodas and fair trade darker sugars and molasses for their ginger beer and cola. The BBC hasn’t been alone in its appreciation. Among their many fans is the Tate Museum. Since 2015, Ed and Robyn have been creating sodas for the museum’s cafes: a spring cherry blossom, an autumn damson plum and rosehip, and when we speak, a winter root beer is under discussion. 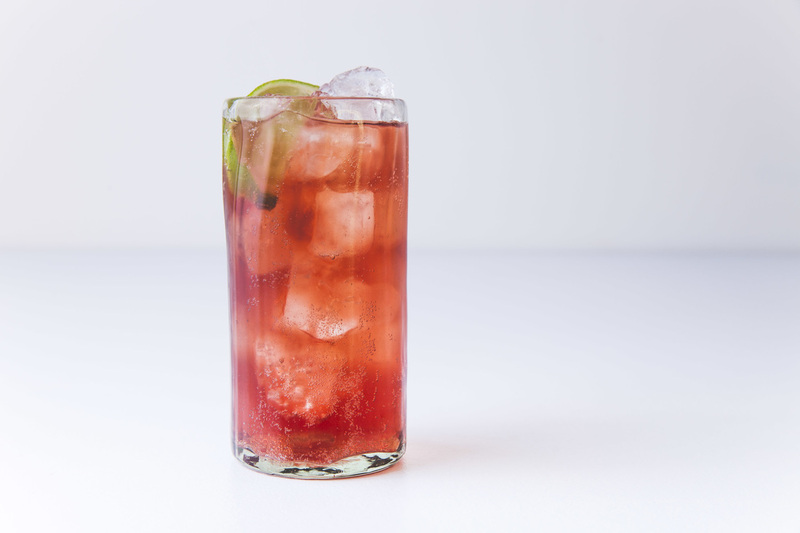 Of their cherry blossom soda, Robyn describes it as “sweet and almondy with a hint of cherry”. Adding, “the blossom itself is only about for two weeks of the year, so to get the flavour, you really need to pick it just as the sun is rising.” The foraged blossom was then mixed with seasonal apple, pear, quince, and juniper blossom, all collected from the flowering trees of Hackney. Much of the process for making their small-batch soda remains semi-manual. 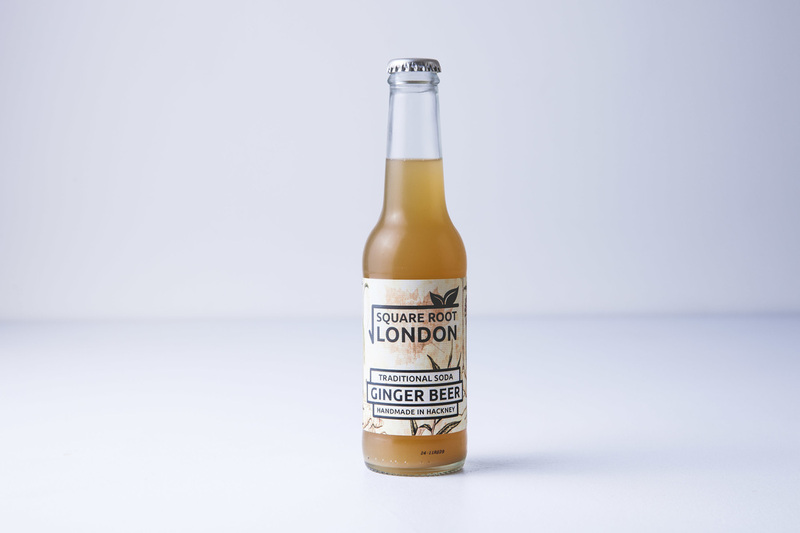 The soda is capped by hand and the process is as time intensive as when they first started producing ginger beer in their kitchen at home. It takes two days from start to finish to create each flavour. Despite upscaling, Square Root remains very much a local business. Soda is still delivered by bike and ingredients such as blossoms and elderflower are collected by local food hero, John the poacher. Retaining a community feel has also ensured that collaborations remain close to home. Their Cascara Club is based on cold-brewed coffee using coffee flowers and hibiscus. The idea originated one afternoon over a coffee at Climpson & Sons with whom they partner to make this soda. Everywhere in London, there’s a new independent bookshop, cafe, bar opening up. We get so many enquiries every week about people opening new ventures and wanting to stock as many London-based products as possible. That is the main change that we’ve seen, people basing their entire business concept around London food. There could be more support for local producers. The Smarta loan that we received is still available. When Ed and I went to New York a few years ago, we discovered a number of food incubators in disused warehouses like the old Pfizer building in Brooklyn (630 Flushing). We met people making kombucha (Kombucha Brooklyn); others were running a soda company (Brooklyn Soda Works). There were bakers of all different types; some chocolate-makers. It was amazing. There is definitely room for something like this in London. Lilly O’Brien of London Borough of Jam. Her use of seasonal fruits, her ability to take something that people eat everyday (jam) and turn it into something special really inspired me to play with interesting flavours and to start my own business. In my kitchen without fail, you will always find some bread from the E5 Bakehouse. It is just fantastic stuff and they are just great producers. We also like Ampersand Butter Culture who trade at Druid Street Market and Brockley Market. I like Jensen’s Gin. Hugo from Black Hand Food (now Autumn Yard Meats) makes the most fantastic charcuterie. London Borough of Jam, 51d Chatsworth Road, Clapton, E5 0LH.